We spend so much time avoiding talking to people. Email is our primary professional form of communication; texting the main way we keep up with friends; and Twitter the way we engage in dialogue about everything from politics to pop culture. On the surface, it feels like we’re always connected. We’re constantly having conversations with others about various issues and we always have a platform to express our views. But most of those connections we feel we are forging are partial; we rarely physically talk to people because the status quo of society these days makes real face-to- face human connection more challenging. And if we’re not talking to people, how often are we putting ourselves in a position to be truly vulnerable with others? I’m not talking about the vulnerability you display with your partner, your parents or your closest friends. I’m talking about the vulnerability that makes us human to the rest of the world. No one likes being exposed. We all like to present ourselves through what we consider our best lens, so people can have the highest possible view of us as humans. So to protect ourselves, we only show people our most curated moments. The snapshots we share — and the ones we most often see — are when we feel the smartest, funniest or most powerful. I’m sure you know what comes next. Only seeing the best of other people’s lives has negative effects on our disposition. Add to that the fact that we often times conceal our struggles while consuming others’ perceived triumphs can result in a mental health situation that is suboptimal. I know exactly how this feels. If you’ve seen any of my talks, you know that I stutter. My speech impediment has been the single biggest factor in every major decision I’ve made in my adult life. I always knew I was smart and thoughtful and could accomplish things, but I was so terrified of talking that I avoided general improvement opportunities. I didn’t go to networking events — really hurting my chances at a job I’d love — because I couldn’t bear the thought of struggling to say my name to people that mattered. I’d have near panic-attacks when I had a phone interview and would often not say the answer in my head because it would sound awful. I found myself alone often because I couldn’t have the kinds of conversations I wanted to have with the people I wanted to have them with, all because I sounded strange. Because I was different. Because I was too proud to be vulnerable. My status quo at that time was fine… for a while. Eventually I got restless. I looked around at the world I created for myself and felt an incredible amount of shame. The solution I’d found so much peace in was now the thing that made me hate myself. Maya Angelou said it best: "If you don’t like something, change it. If you can’t change it, change your attitude." I knew it was time for me to change. I also knew what I was going to change: how I dealt with fear. We’re always so impressed with people that come clean about their struggles. They’re so brave, inspiring, and strong. And us? We’re powerless and feel small. This is quite common. Here’s an interesting tidbit: of all the traits we notice in people, the two that stand out the most? Warmth and strength. I’ll get to strength in a second, but first let’s tackle warmth. One of the definitions of warmth is the quality of being intimate and attached. Studies show that each interaction we have with a person during the day — no matter how superficial — directly affects the way we feel about life. And those interactions where we are exposed a bit — like with people who know us well? Those interactions make us feel more connected to our communities as a whole. We avoid vulnerability in our daily lives generally because we are afraid. I know a lot about fear: I spent the majority of my life being afraid of what would happen if I choose to talk. I still have a lot of fear and anxiety around speaking, especially when I’m on stage and it really matters. What if people don’t understand what I’m saying? What if my message isn’t getting across? Here’s the secret about fear: no one is immune to it. We’re all afraid of something, and eventually we’ll all have to face that scary thing head on. I never stopped being afraid; I just chose to counter that fear with courage. Because I did that — because I had courage and showed my vulnerability — it gave me so many opportunities to truly connect with people. Vulnerability is valuable. Why? Because knowing how and when to embrace your vulnerabilities is going to help you connect with those people around you. And the connection piece is important because it grounds us in our humanity. How, then, do we tap into everyday vulnerability? This is the kind of vulnerability that’s more than just being plugged in or engaged in the community; this is about being human and bringing the humanity out in those around us. Have small, sincere conversations daily. We spend the majority of our days at work with our eyes on words, numbers, images and pixels with very few breaks. Make sure to take a few minutes a few times every day to have a non-work conversation with someone in the office. Be honest with yourself and others. If you’re feeling nervous about a project, meeting or interview, choose to embrace those feelings over ignoring them. Expressing your trepidation over something doesn’t make you weak; it makes you a real person. Who do you prefer to spend time with: people who claim to have everything figured out or people that know they don’t and are eager to learn? Finally, in every possible situation choose kindness. The research is very clear on this: being nice to people is a great career move. Treating people fairly and with respect encourages collaboration and, as a result, boosts productivity. People will be more willing to share information instead of hoarding it. Empowering vulnerabilities seems counterproductive, but it’s quite the opposite. Yes, we love stories of people being “badass” and showing great strength in a traditional sense. But the main takeaway here is this: vulnerability is strength. It takes incredible courage to be kind when we feel like garbage and to be honest when all we want is a white lie to comfort ourselves or others. The strongest, most vulnerable action we can engage in every day to encourage collaboration and better our mental health is to have sincere conversations with our coworkers. At Pixel Pioneers Belfast on 16 November, Sharon is giving a talk on building powerful relationships by communicating with empathy. She'll also run a workshop on the same topic in Belfast (20 November). Also check out Mind over Matter, Ireland's national day of design in aid of mental health on 2 November. 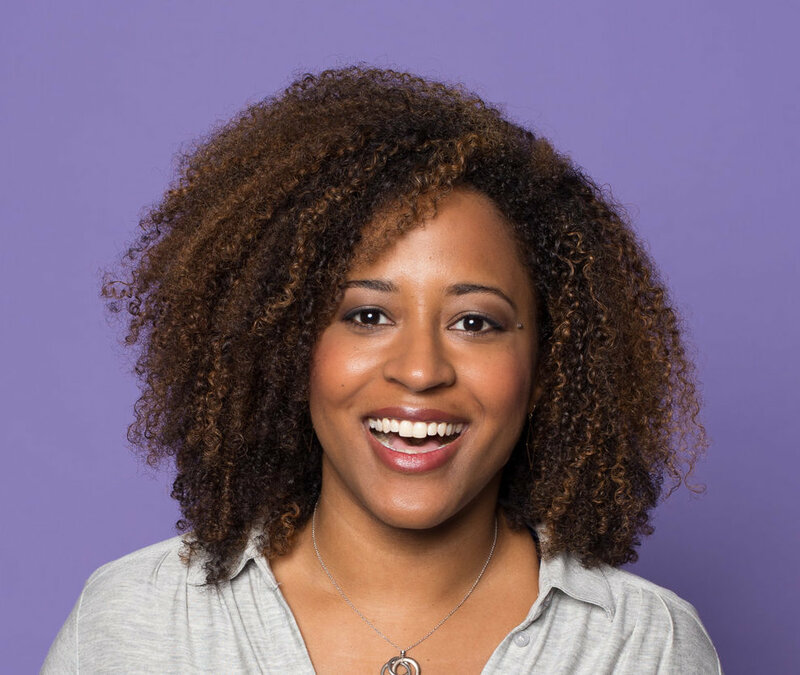 Sharon Steed is an empathy and communications consultant and public speaker. She's spoken at companies on improving team communication and collaboration; at tech conferences on vulnerability as an asset; and has given a TEDx talk on empowering insecurities. A lifelong stutterer, she uses her speech impediment to teach both what empathy is and how to be empathetic.